F.E. 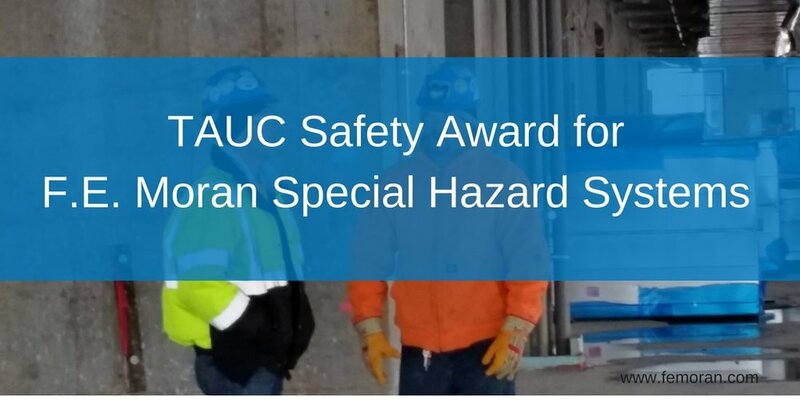 Moran Special Hazard Systems has been awarded the 2017 Thomas J. Reynolds Award for construction safety and health from the Association of Union Contractors (TAUC). This award is given to contractors that keep their workers safe. TAUC members that minimize the number of work site accidents, injuries, and illnesses to their employees are honored. To be eligible, contractors need to have a DART rate of below 1.425 (25% below the most recent Bueau of Labor Statistics national average of 1.9). F.E. Moran Special Hazard Systems had a DART rate of 0.00. They are being awarded with the zero DART award. These awards will be presented at the 2018 TAUC Leadership Conference in May.